It's the Little Things. . .: Busy Weekend Ahead . . . It's the Little Things. . .
Busy Weekend Ahead . . . The weekend has started and it's going to be a busy one! Saturday morning and early afternoon will be spent finishing up the reorganization of my quilting studio. I cleaned out and reorganized the "bedroom" in the basement -- I actually refer to it as my "Fabric Room". Here's a couple of pictures that should explain why. . .
On the shelf -- projects in various states of completion. The clear bins on the right contain more fabric -- including the leftover yardage from two king size quilts I made as wedding presents for two of our kids, as well as our youngest granddaughter's baby quilt and our grandson's baby quilt. Two bins contain the "quilt tops" (ranging in size from table toppers to twin bed) that need to be layered with batting and backing and quilted. Then there's my closet containing yardage of fabrics I've collected over the last 16 years or so. Sadly, this picture doesn't show ALL of it ....there's more hiding behind that striped curtain on the left. I jokingly told my daughter that this was her inheritance -- she didn't think it was funny! But, after I get finished with my morning/early afternoon projects, it will be time for some fun! 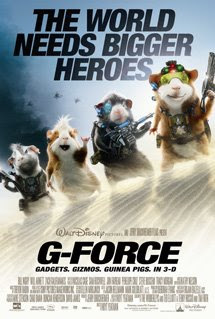 Yep, we're taking our granddaughter, Harmonie to see "G-Force" . . . we're all pretty excited as we saw the previous a month or so ago when we went to see "Up". Then Sunday, I work from Noon - 5pm at the quilt shop. The "Quilt Minnesota" state-wide quilt shop hop started today and runs through August 14th; so, it should be pretty busy in the shop with it being the first weekend of the hop! Hurry Monday - so I can get some rest! Have a safe and fun weekend! Uffda! I'm still not done with mine! I look at all the fabric and think -- "This is just wrong! One person should not have this much fabric! I'll never get all this fabric sewn up!" I've told Trina, and now you, -- just bring you machine up and don't worry about fabric and patterns . . . I have plenty! And bring Mary with you, too! I am ready any time!! What a great stash of fabrics and projects! I just spent several evenings going through all my "stuff" just for the fun of it. Guess all of us quilters are "gatherers" of things that make us happy. I'm a wife, a mom, a "Nana" and I love Jesus! My "crafting passion" is quilting and recently closed my longarm quilting business. In addition to quilting, I love knitting, crafting, and home decor. I've recently become "addicted" to thrift shops, yard sales, and flea markets and "thrill of the hunt" for thrifty treasures just waiting for me! I'm feeling like a slug . . .